Monica MacKinnon, Sailing Course sponsored by Sport England, July 2012. 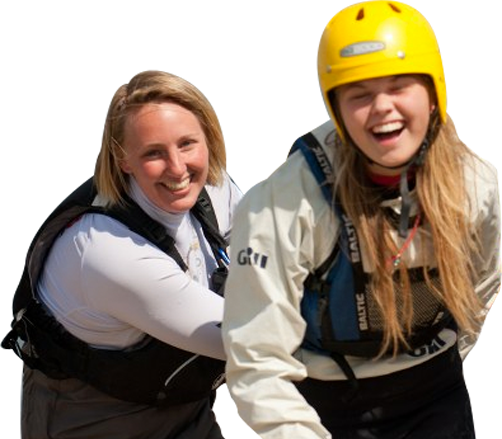 Accreditations for Paddling include instructor courses and also a range of UKCC and BCU Star Awards, from entry level Paddle Passport to 1, 2 and 3 Star awards. Cobnor delivers Powerboating qualification including Instructor courses, level 2 Powerboating and safety boat courses. Cobnor delivers RYA First Aid Training . Our position on the South Coast gives us easy connections to major cities including: Chichester, Portsmouth, Southampton, Brighton and London by rail. We also have easy access to Portsmouth and the Isle of Wight by boat, as they are just across the Solent from the Activities Centre.